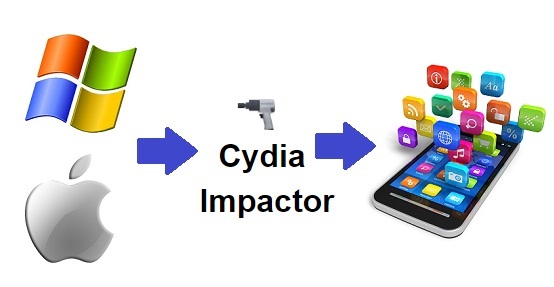 What is Cydia Impactor ? It is a tool that allows you to sideload third-party apps on your smart phone. Using Cydia Impactor, you can install IPA files on iOS and APK files on Android running devices. This valuable application is also developed by the Jay Freeman (Saurik) the developer of Cydia. You can use Cydia Impactor tool to install cracked / jailbreak apps without jailbreak your iPhone, iPad or iPod. You need a computer to download & install this tool. Saurik has released an update (0.9.45) to Cydia Impactor. The update fix cpp 160 error, Xcode revoke/delete commands and adds support pasting passwords on Mac. Saurik has updated Cydia Impactor to support iOS 11. Now you can install any application on iOS 11 running devices with Cydia Impactor 0.9.42. Windows users – Cydia Impactor will detect your device automatically after connect to your PC. If not connected please install device driver again to use Cydia Impactor tool. iTunes must installed to your PC before use Cydia Impactor. Above mentioned Cydia Impactor steps are related with Apple users. Android users need to follow same method similar to Apple users. Cydia Impactor is most success method to install Cydia applications without jailbreak and computer. First Download IPA file and synchronize to your device within few seconds. Can Install Cydia with Cydia Impactor ? No, You are unable to do it. You need to jailbreak your device to install Cydia application to your device. We recommend to follow our application for all jailbreak users, Because most fake Cydia applications are ready to buy as paid process. Follow it before download real Cydia for your device.